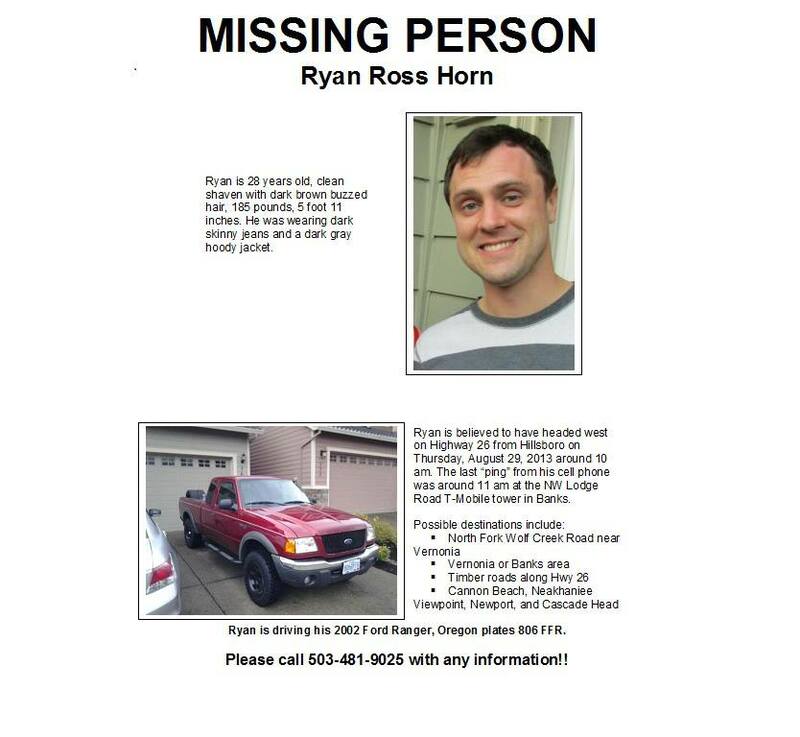 UPDATE 10/10/13 – Ryan Ross Horn was found dead Tuesday, Oct. 8, along a remote road in northwestern Washington County, police say. His body was found about 60 yards from his Ford Ranger pickup, which was parked off an old logging road with a turnaround about a mile from Oregon 47, said Lt. Mike Rouches, a Hillsboro Police spokesman. A handgun was found near his body and his death is not considered suspicious, Rouches said. UPDATE 9/19/13 – Police have searched western areas of the county by aircraft and teams of volunteers have searched the area, but Ryan has not been found. His truck is still missing. 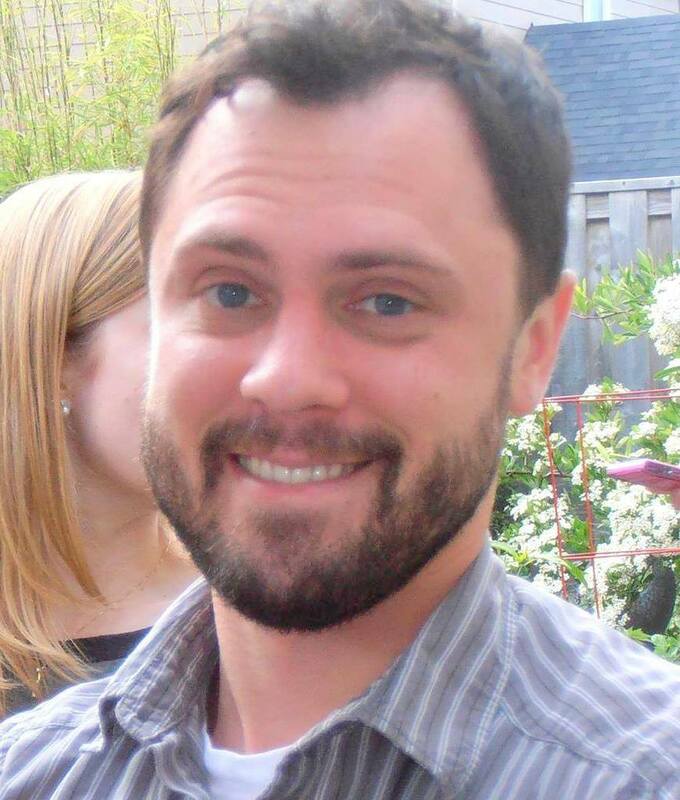 Previous story: Ryan Horn, 28, from Hillsboro, Oregon has been missing since Thursday, August 29, 2013. He was last seen by his mom, Michele Haynes, as he was leaving the home he shared with her. Michele said Ryan said something when he left but she didn’t hear what it was. Ryan left behind his wallet, but she believes he took a gun with him., but he did like to target shoot. She thought he would be back soon as he was going to help her move things in the garage as they were putting the house up for sale. Ryan left in his red, 2002 Ford Ranger with Oregon license plate 806 FFR. He was wearing dark jeans and a dark grey hood sweatshirt. Authorities are asking everyone to keep an eye out for Ryan’s truck. Per his Facebook page, he sadly was found deceased. “t’s with heavy hearts and many tears that we report our beautiful Ryan has been brought home to rest. His truck was discovered off Hwy 47 by a local person this morning, but the family wasn't informed until this evening. His body was discovered by the WA County sheriff's department. We appreciate all the love and support our community has given us. Our hearts are broken. Our Ryan is gone.